I went a little crazy buying loads of basil over the weekend so I made a few batches of pesto. Super quick, easy and so delicious. Basil contains a wide range of essential oils rich in phenolic compounds and a wide array of other natural products including polyphenols such as flavonoids and anthocyanins. They are also rich in antioxidants, anti ageing properties and reduce inflammation and swelling. All in all this herb has some major mind and body benefits. 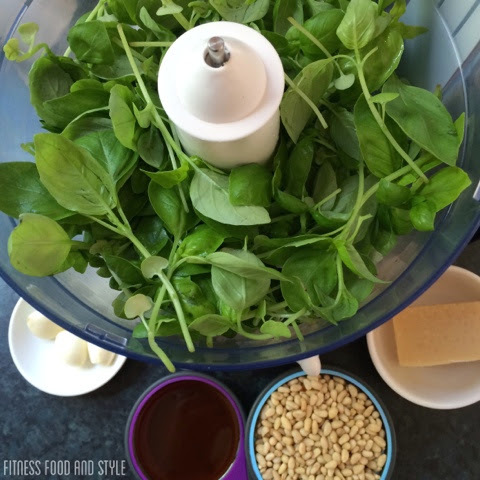 All you need is some basil (I used x2 bunches) 3 garlic cloves, 5tbs olive oil, 1/2 cup of pine nuts (I also used macademia nuts) and 1/2 block of Parmesan cheese. Simply blend all the ingredients leaving the olive oil to last. Slowly stream the olive oil until well combined. 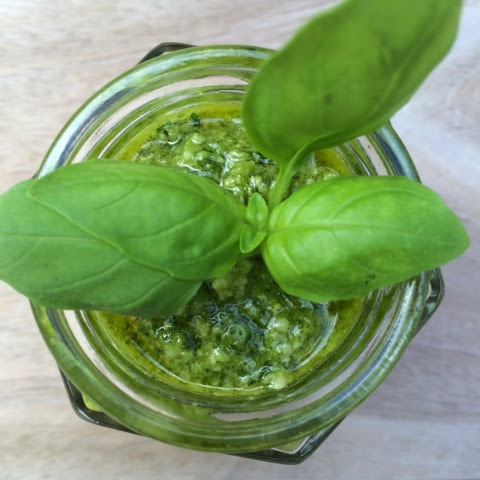 Store this gorgeous green pesto in your favourite glass jar or container and enjoy! We use it in our sandwiches, as a dip and even on our chicken parmigiana. We had a beautiful weekend with loads of fun in our swimming pool. 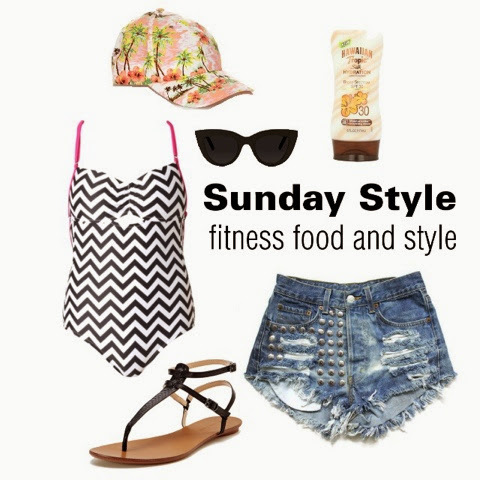 My Sunday style ensemble was a pair of denim shorts paired with my chevron Seafolly one piece swimsuit, sandals, cap, sunglasses and sunscreen. I made this amazing croissant pudding for dessert last night which I drizzled dark chocolate and served it with vanilla ice cream. 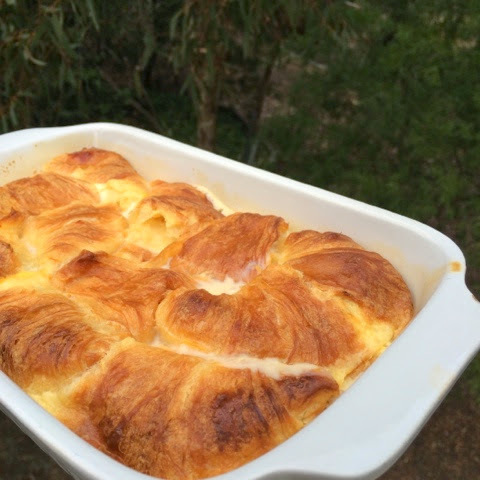 Simply cut the croissants in half and lay them in a casserole dish. Pour the custard and bake in a 180C degree oven until golden brown. The custard was 3 eggs mixed with milk, honey and vanilla essence. It was like those traditional bread and butter puddings. To die for. It's nice to occasionally indulge. I wouldn't recommend this as your every day dessert. Everything in moderation right? How was your weekend? I hope you had an amazing one!